Haleiwa Field on the northwest coast of Oahu, 30 miles from Honolulu, was originally (prewar) a center for private flying. The Army improved the field during the early part of World War II and in 1944 the Navy took the field over for carrier-landing training. The runway was paved with Irving Grid and met Class IV requirements. Haleiwa Field earned its place in history on December 7, 1941 when it became the only airfield able to provide defense against the sneak attack on Pearl Harbor. By 1946 Army and Navy interests were relinquished to the Territory of Hawaii Department of Public Works at no cost to the State. The DPW began operating the field as a civil airport for personal flying and instruction. The field was the center of private flying and instruction activity for the Island of Oahu. 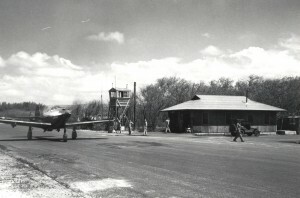 In 1947, the Territorial Superintendent of Public Works proposed adapting a portion of the airfield to private flying requirements. 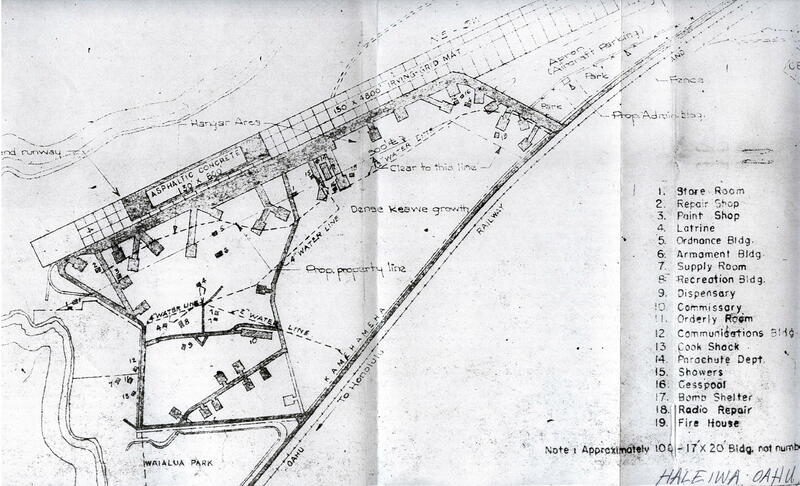 The DPW felt that Haleiwa Field was ideal for instruction purposes, except for its distance from Honolulu. It was believed that the combination of Kipapa, Haleiwa, Kahuku and Bellows Fields would provide the Island of Oahu with a very satisfactory group of airports for private flying until the proposed Ala Moana Airport was approved by the public. Haleiwa was utilized to its capacity on weekends and fully justified its retention and improvement as a permanent unit of the Territorial Airport System. 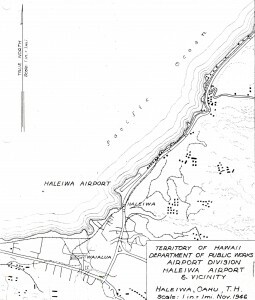 The Territorial government recognized Haleiwa Field as an integral part of its airport system and the CAA Region IX recognized it as part of the 1947 National Airport Plan. Act 32 of the 1947 Legislature, placed Haleiwa Field under the management of the newly created Hawaii Aeronautics Commission effective July 1, 1947. 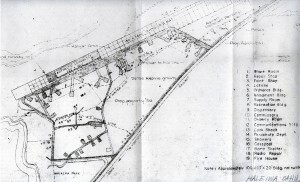 The airfield was on land owned by the Oahu Railway and Land Company and leased to the U.S. Army. On August 3, 1948 the Hawaii Aeronautics Commission voted to discontinue Haleiwa Field as a territorial airport. The land reverted from the Army to the OR&L on September 30, 1948 at which time the Territory’s lease expired.